League bosses have met with the Rugby Football Union to discuss the issue, and dialogue is continuing. These crucial discussions are about deciding the most effective structure for the top end of the game in England. It is understood that England’s leading clubs want a 13-team Gallagher Premiership, scrapping promotion and relegation, with the existing 12 clubs being joined by likely Championship winners London Irish. 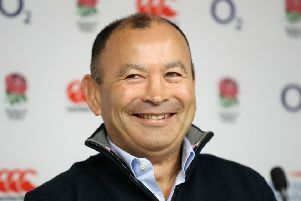 Premiership Rugby requires unanimous backing from its 13 shareholder clubs, which includes Irish, for any proposed change to the regulations, and then RFU approval. “It is the right time to fundamentally rethink the system in this country as we try to secure financial sustainability for the professional game in England at all levels,” said a Premiership Rugby spokesperson. The next board meeting is on April 9, when promotion and relegation will be high on the agenda. Yorkshire Carnegie will be keen to know the outcome as they seek to get back to the Premiership over the coming years, either as part of ring-fencing or via traditional means of promotion.